Bayacas – to use a cliché – is a sleepy hamlet to the north of Órgiva. When we last visited we barely saw a soul, yet alone a shop or bar. And that’s just how the people who live there no doubt like it. The church was locked, the donkeys were in the shade by the fountain – and the dogs barked at the new visitors. It was like stepping back in time. At an impossibly-steep path near the church, we spoke to a German man who owned a place there. 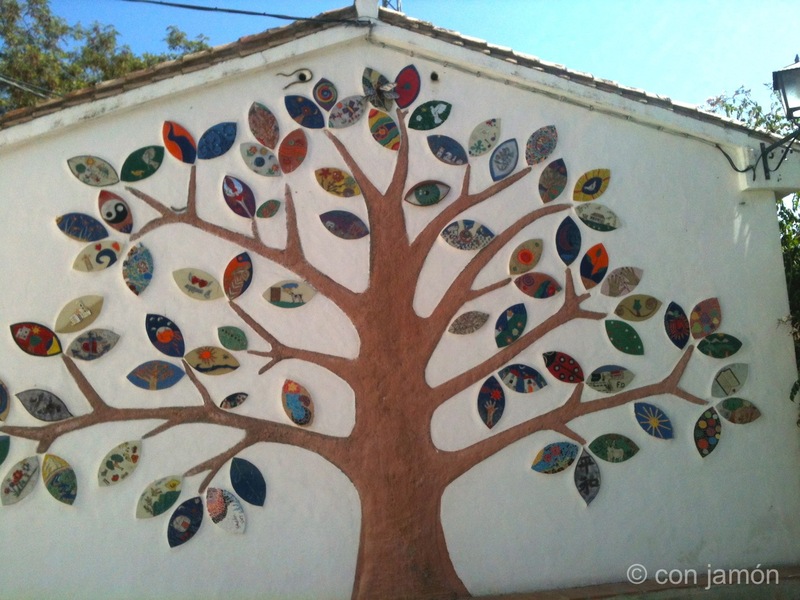 Here’s a photo of the Tree of Life created around 2009. There’s something missing – people. Jimbo & Betty’s blog – no longer updated it seems – has some photos and videos of the heavy rain in recent years. We think there’s a picture of this exact wall before the Tree of Life was created, see if you agree. Here’s our other post about Bayacas.